Hi all, my name is Alice and I run the blog Mutterings of a Teenager - a mostly beauty blog, with a pinch of lifestyle and fashion thrown in. 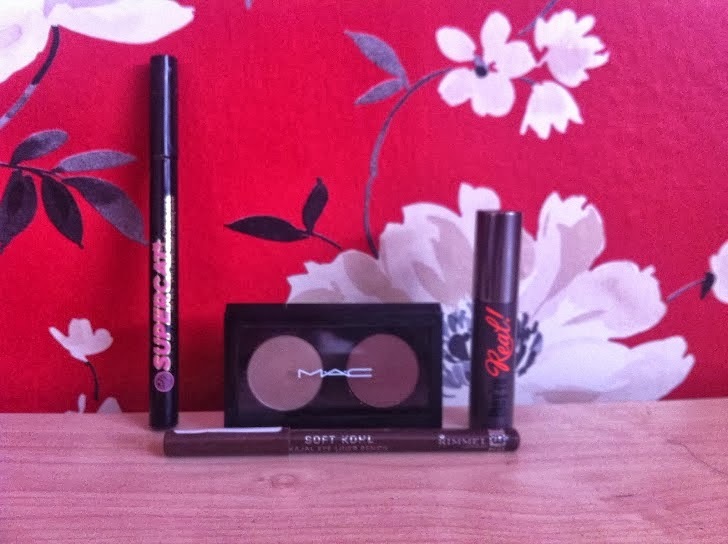 There are a few products this Autumn that I am going to be keeping close in my makeup bag and wearing religiously until I no doubt will get sick of them! In Autumn, I really like to wear browns on eyes and slightly darker colours on the lips as it usually goes with my outfits. 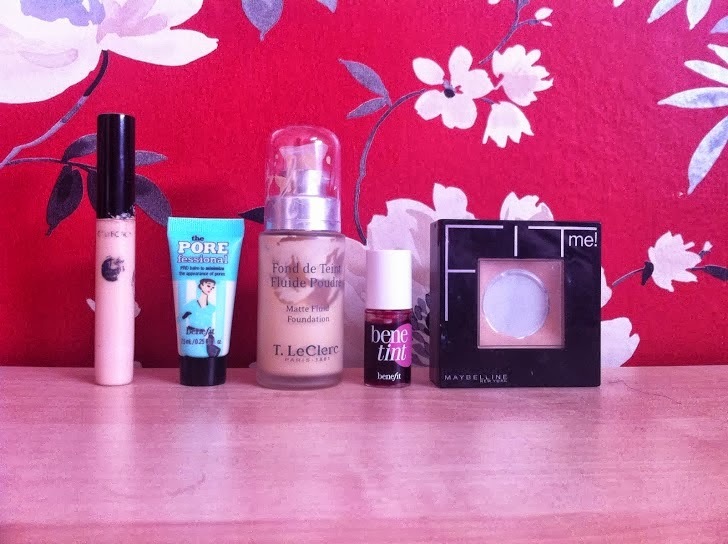 T. LeClerc Mattifying Foundation in 01 - I love this foundation, it is so smooth and blends into my skin so well. In winter my skin gets a lot more discolouration than usual, so this will help to cover it up. Collection Concealer in 1 - In winter I get the worst under eye bags due to the cold, but I also seem to get less sleep? Using this will help to cover them up and also get rid of the pesky blemishes. Maybelline Fit Me Powder in 125 - Normally as a powder, I use either the Rimmel Stay Matte or Clear Complexion powder, but in winter I want something with a bit of colour to help cover my blemishes and dark patches. This powder has a slight bit of colour but also stays in place all day. Benefit Porefessional - After getting the test size for this, I don't know what I am going to do when it runs out! This helps to smooth over my skin and keep my makeup on for a lot longer. Benetint - I am not usually a huge wearer of blusher as I don't think I have found the perfect one yet, but I love the rose colour of this on my cheek. I swipe a few lines on and then quickly blend it into my skin. It leaves a lovely glow, which looks great with girl meets pearl. MAC Eyeshadow in Omega and Brown Down - I bought these both recently and I now wear them most days when I am not at school. Omega is a lovely soft brown that is great for all over the eyelid, I then blend a little bit of Brown Down through the crease to create a soft eye. They stay on all day and look lovely together. Rimmel Soft Kohl Eyeliner in 011 - I use this as my eyeliner for school as it is a lot softer than black. It stays put well and can also be smudged to create a nice smoky line. Soap and Glory Supercat Eyeliner in Black - This is my go to eyeliner and if it weren't for school rules, I would wear it everyday. I will be continuing wearing a flicked eyeliner in winter and this is a great eyeliner to do it with. Benefit They're Real Mascara - For me, there is no other mascara that can compare to this one, even the Falsies. It separates the lashes so well and really gives them volume, without making them look silly. Also, these small testers seem to last for ages, so it is good value for money. MUA Lipstick in Shade 13 - I wear lipstick once in a blue moon, but this winter, I am pushing myself and stepping out of my comfort zone and wearing a red lip. Red lips look gorgeous in winter and compliment most skin tones. 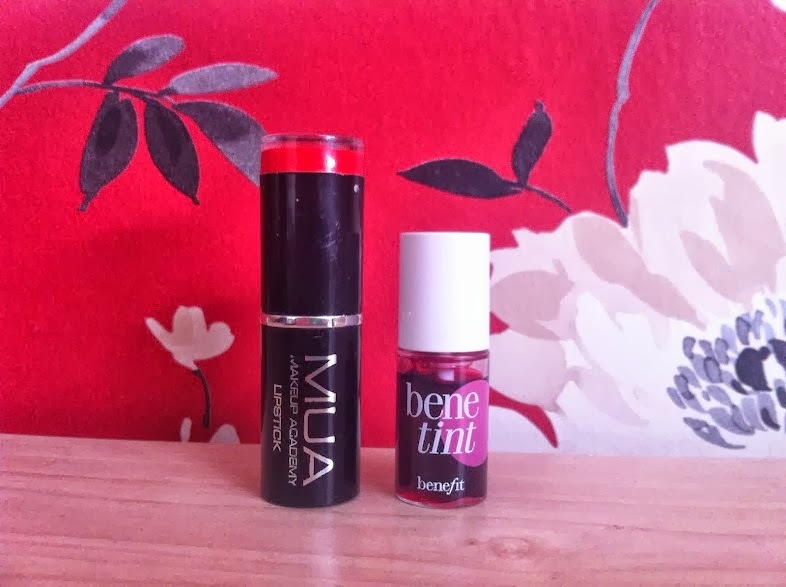 Benetint - As well as being a blusher, I will be using this to add colour to my lips on days where I don't want to wear much makeup or have subtler lips. It lasts all day, and with Maybelline Baby Lips in Cherry Me on top, it creates a lovely deep cherry colour. 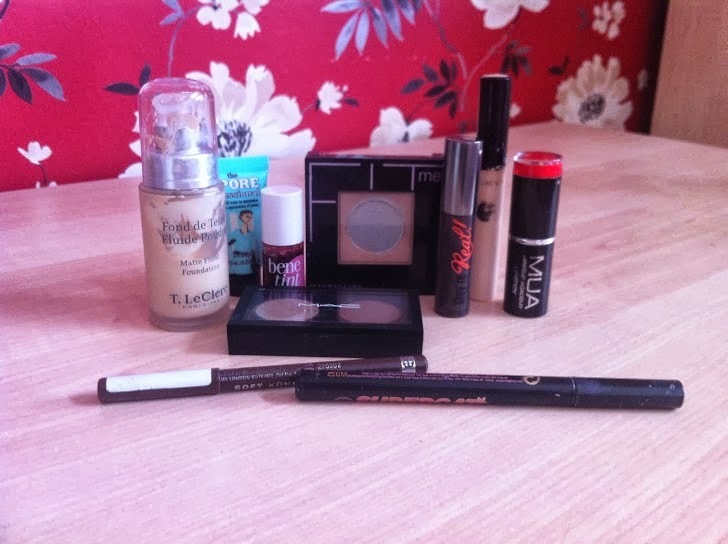 I hope you have enjoyed reading about what makeup I will be using in Autumn and take some inspiration from this!